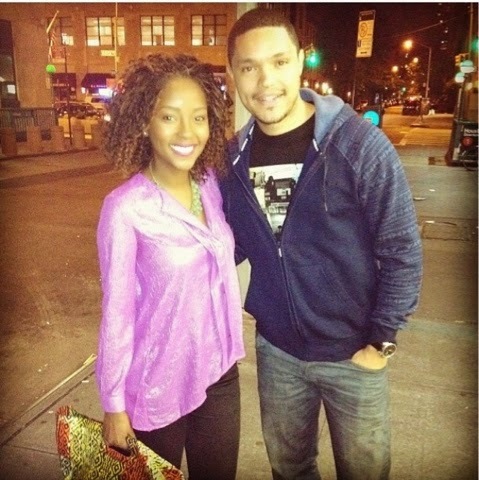 Trevor Noah might be the new Daily Show Host! UPDATE: Per the New York Times, after only three appearances on that Comedy Central show, Trevor has gotten a huge and unexpected promotion. 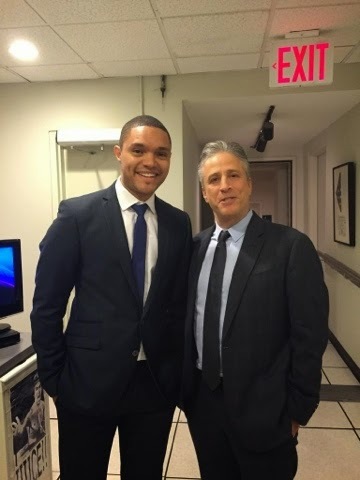 On Monday, Comedy Central will announce that Mr. Noah has been chosen as the new host of “The Daily Show,” succeeding Mr. Stewart after he steps down later this year. He was so awesome when I met him a few years ago, he deserves all the shine! From Soweto to the Soundstage at Comedy Central- he's made the nation of South Africa immensely proud. 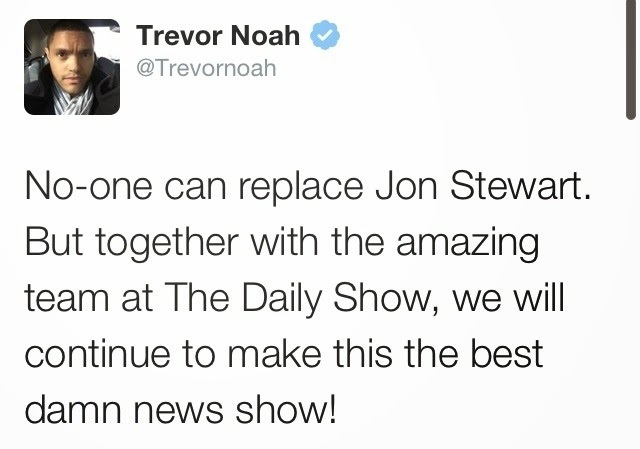 In Dec 2014, we were all SUPER stoked about the glorious news of Trevor Noah joining the Daily Show as a correspondent. Little did we know that his addition to the show might be the tip of the iceberg! 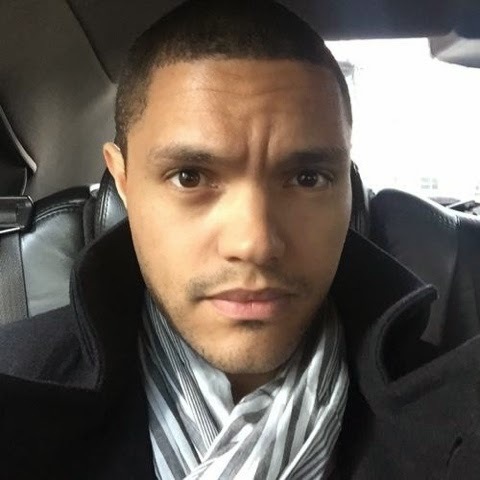 According to Variety the South African comic might be on the "short list" to replace Jon Stewart. 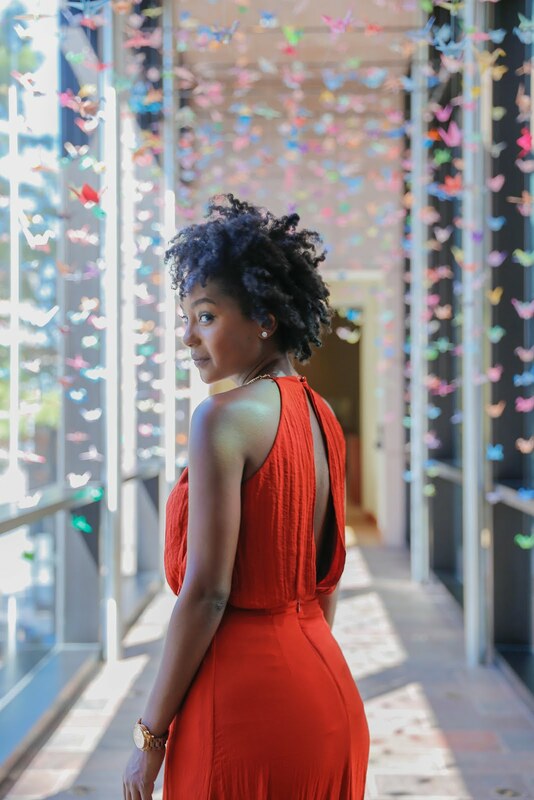 MAJOR! Trevor has plenty of receipts. He's toured extensively around the globe (sold out shows might I add) and he made history as the first SA comic to appear on The Tonight Show and the Late Show with David Letterman. Like Stewart, Noah is no stranger to tackling thorny issues. In South Africa, he was known for riffing on the topics of race and politics, even using his mixed-race parentage to get laughs. Noting that his mother is a black South African and his father a white Swiss, he once told an audience, "I was born a crime," according to a 2013 report in the Wall Street Journal.